River City Volkswagen Club :: 61 sunroof beetle "SOLD"
Posted: Tue Dec 18, 2007 1:16 pm Post subject: 61 sunroof beetle "SOLD"
this bug was a 1961 europeon delivery shipped to the USA has locking ignition,cloth europeon interior,short wave radio,ski rack,other chrome accessories.good tires,has original 40hp motor with low miles that runs well.brakes were just done so it stops real good.looks like it has had some front end damage in the past but all was repaired.needs sunroof cover replaced,needs running boards, tail light work dont work at the moment,has some rust issues but the pan is in good shape as far as pans go.runs and drives and has a title.I have one to many cars for my garage.need to make room.great project for someone. 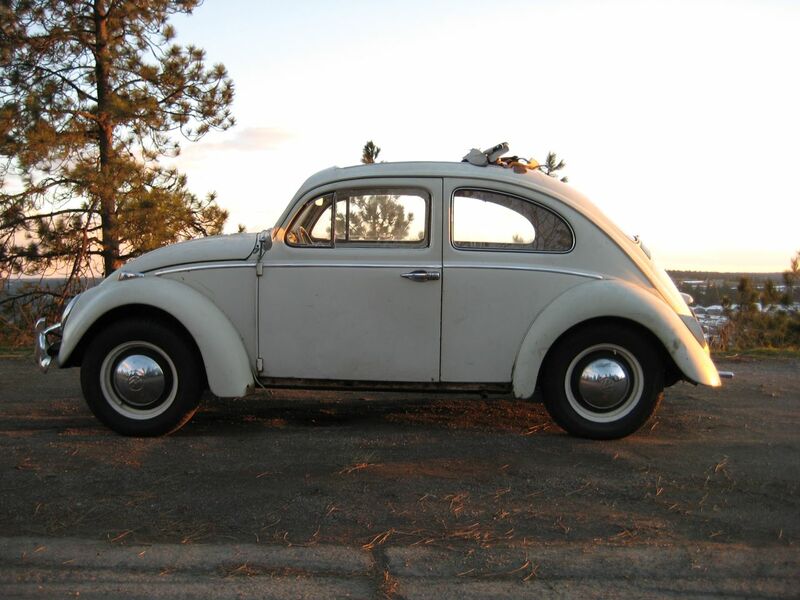 best offer so far is $2500 from some dude in canada.anybody locally want to match the price and perhaps keep this sweet beetle around Spokane?I would also sell it for less than my asking price if i keep the motor. $500 you keep the motor and the wheels? i got your $500 car right here. I should not even be asking. Id be interested in the $500 dollar one...is that yours?? 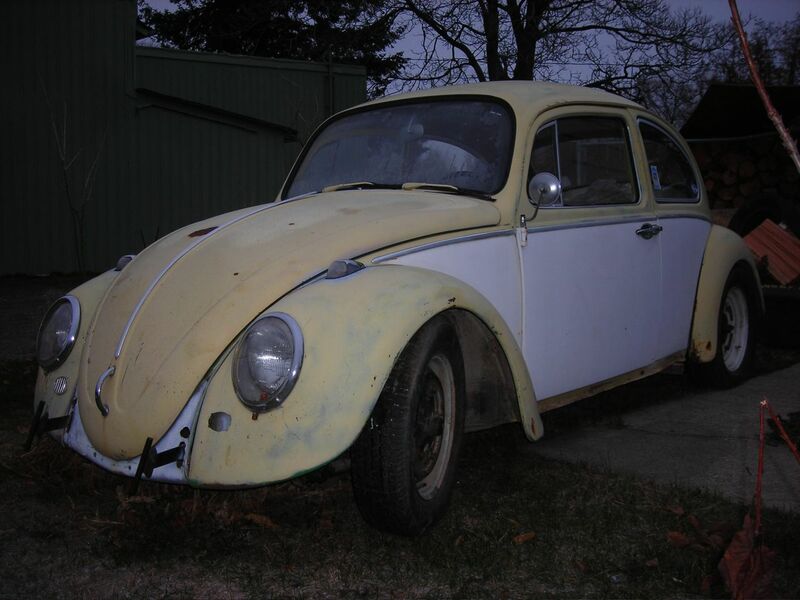 the dude I bought the yellow beetle from has been giving me the run around on the 66 bug for $500. on another note the price on my 61 sunroof is currently $2500 OBO and im very interested in trades if the trade is of interest to me. the beetle is SOLD! now if i could just figure out how to delete the classified? Posted: Sun Apr 13, 2008 9:08 am Post subject: 61 sunroof beetle "euro delivery"
Other than PMing the webmaster and asking him to delete it, you can't delete an ad, it just moves to the bottom as people quit posting to it. webmaster will you please delete this add so people dont have to look at old adds.